The preparatory drawing of the School of Athens by Raffaello on Arte Magazine. 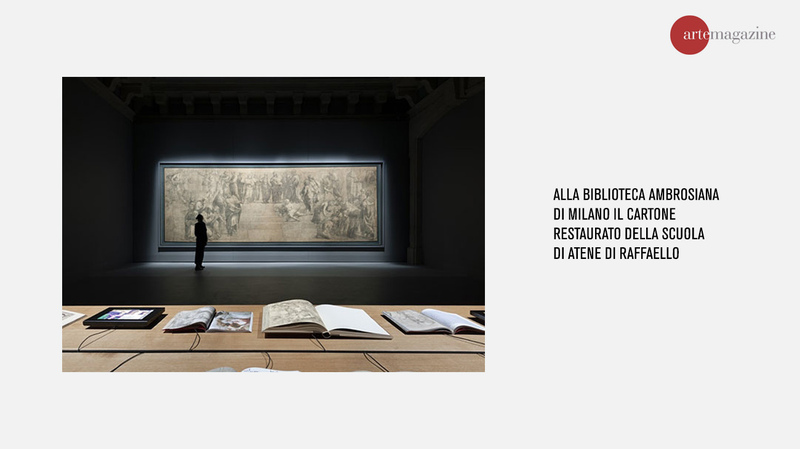 From March 27th, after four years of restoration, the Cartoon is exhibited at the Veneranda Biblioteca Ambrosiana, in a set up specifically designed by Stefano Boeri Architetti. The Drawing – the biggest from the Renaissance that resisted till our days – has now found place in a new showcase of approximately 3 per 9 meters, unique in the world for its dimensions. The set up is designed to enhance the preparatory aspect of the artwork through transforming the room in a school, with a table – produced thanks to the collaboration with Riva 1920 – and on which visitors can find books and images to understand the precious masterwork commissioned by Julius to Raffaello II in 1508.